MLB Announces the Expos' Move to D.C.
On September 29, 2004, MLB officially announced that the Expos franchise would move to Washington, D.C. for 2005. Later that night, the Expos played their last game in Montreal, a 9–1 loss to the Florida Marlins before a season-high crowd of 31,395 fans. Although the team had worried about fan reaction, there were only a couple of incidents with objects thrown on the field. To commemorate their unfinished 1994 season, the Expos unfurled a banner reading "1994 Meilleure Équipe du Baseball / Best Team in Baseball." The fans gave standing ovations to team stars Tony Batista, Brad Wilkerson, and Liván Hernández, and applauded loudly up until the final out. After the game, thanks were given to the crowd by Claude Raymond in French, Jamey Carroll in English, and Hernandez in Spanish. 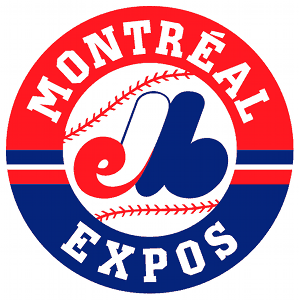 The end of the legal fight to keep the Expos in Montreal came on November 15, when arbitrators struck down a lawsuit by the former team owners against MLB and former majority owner Jeffrey Loria. 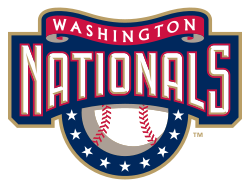 The MLB franchise owners approved the move to Washington in a 28–1 vote on December 3. Baltimore Orioles owner Peter Angelos cast the sole "nay" vote, resenting the franchise's relocation and intrusion into the Baltimore/D.C. market. The Expos played their final game on October 3, 2004 at Shea Stadium, losing by a score of 8–1 to the New York Mets, the same franchise that the team had first faced, 35 years earlier. Baseball will return with the cherry blossoms to the nation's capital next spring when the Montreal Expos become Washington's fourth major league franchise and its first since the Washington Senators packed up and moved to Texas in 1971.